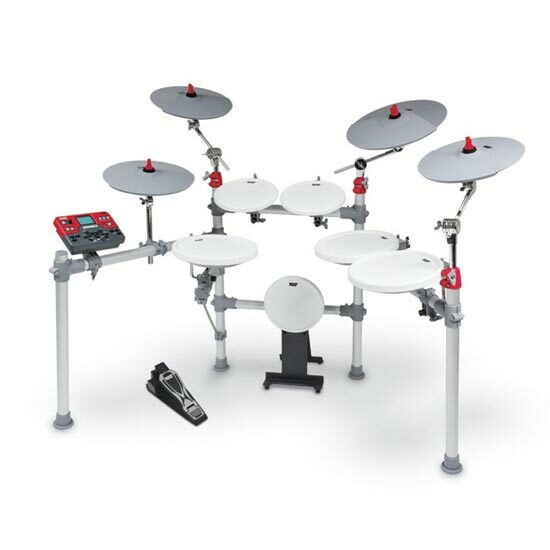 V-Drums is a variety of electronic drums, drum brain modules, and related electronic percussion product manufactured and trademarked by Roland Corporation. 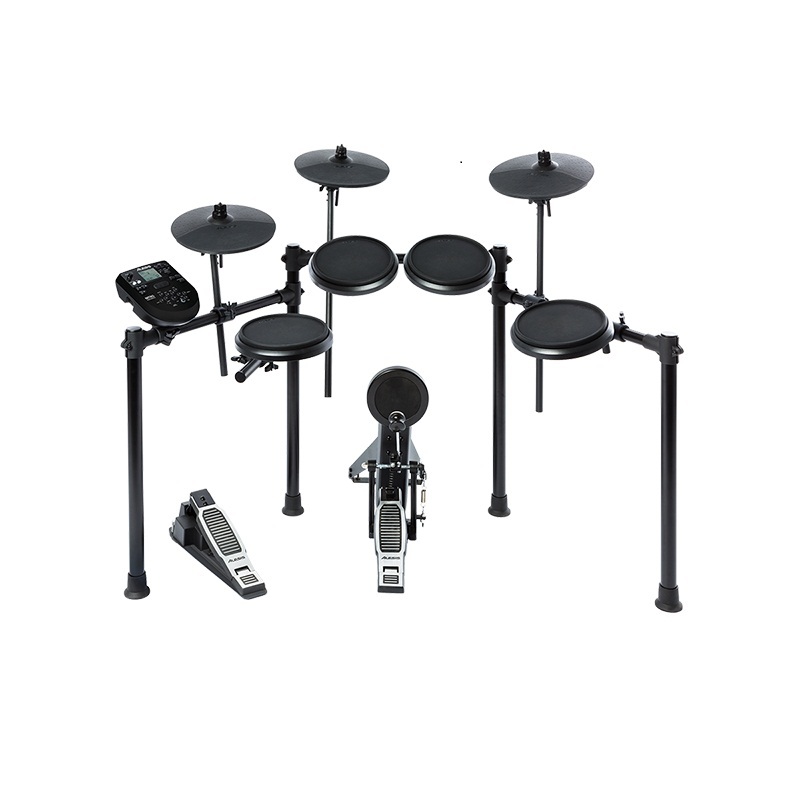 The primary V-Drums products are complete electronic drum kits. 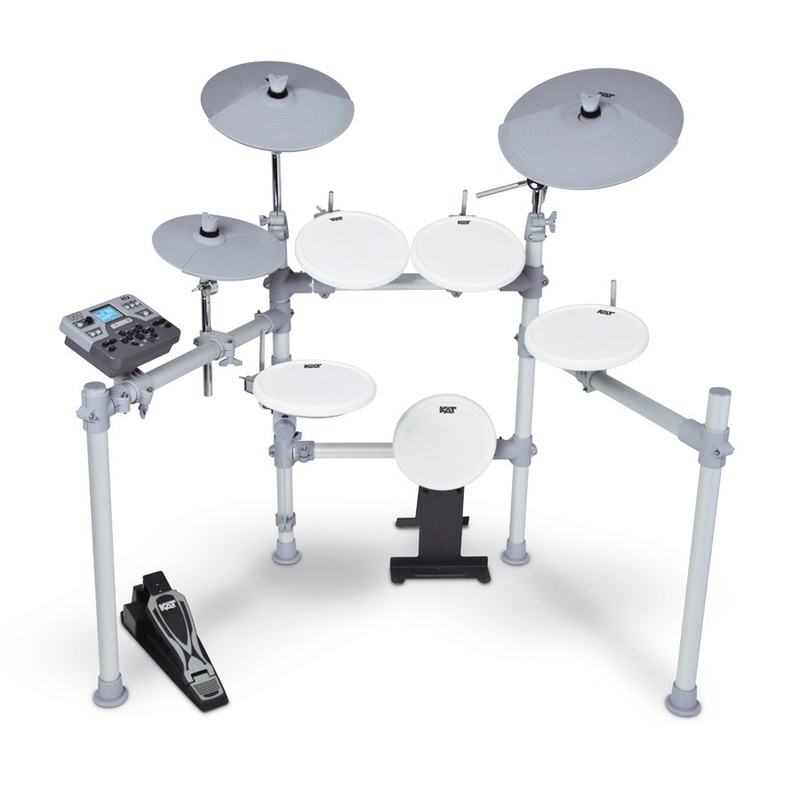 Components such as additional pads, cymbal pads, triggers, mounting hardware, and modules are also sold individually to augment an existing kit. 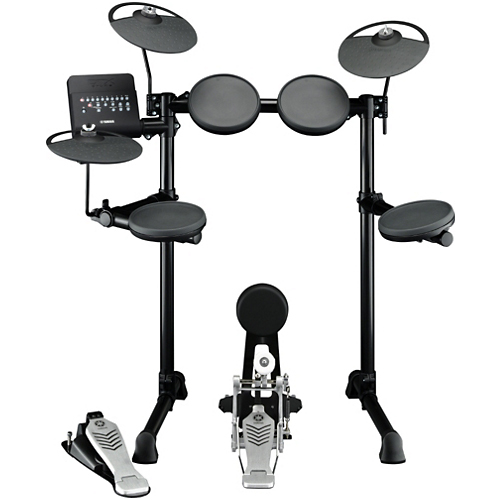 Like most electronic drum modules, V-Drums drum modules are MIDI-capable. This enables the player to use a V-Drums kit to control not only the kit itself, but other MIDI-capable instruments, such as digital samplers. MIDI also allows V-Drums kits to be controlled by other MIDI-capable instruments. V-Drums, like most electronic drum kits, can output to an amplifier, recording device, or headphones. 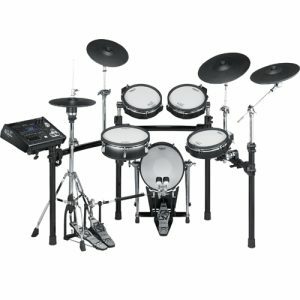 Euphonycart Presents Alesis Nitro 8-Piece V-Drum Kit. 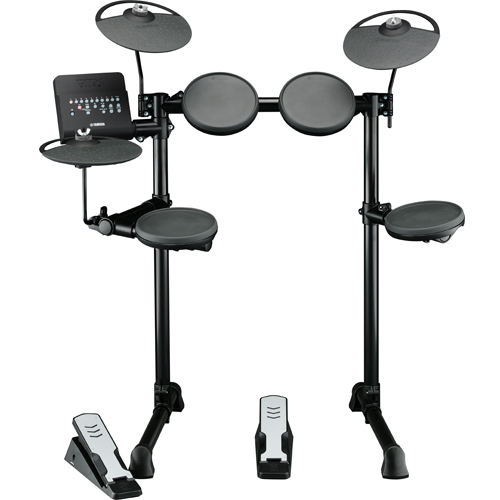 The Alesis Nitro is a complete 8-piece electronic drum kit that includes everything you need to play like a pro. It features three dynamic 8″ tom pads—a 8″ dual-zone snare drum for great feel and natural response, plus a kick drum pad with pedal. Three 10″ cymbals, including a crash with choke, give you a virtually unlimited range of playing expression and the 4-post aluminium mounting rack keeps everything solid and secure. 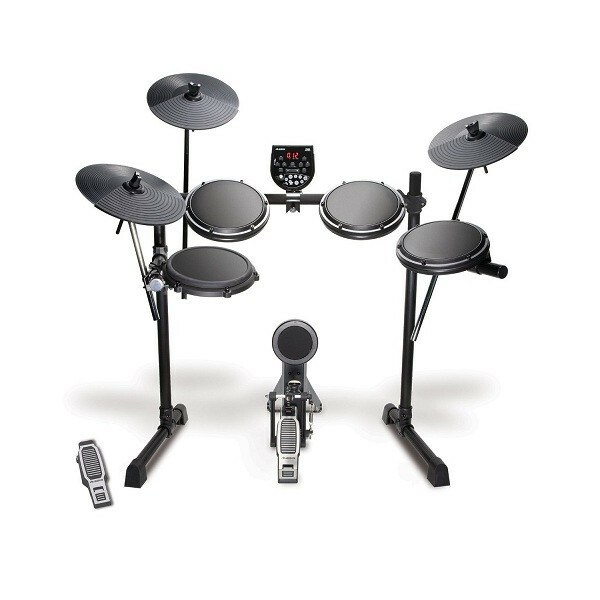 The KAT KT2 is the ideal choice for the player who is looking for a digital drum set that features a broad set of features and the highest quality sounds at an exceptional price.The KT2 comes with over 500 studio-grade drum, cymbal and percussion sounds. In addition, there are 80 play-along tracks and 45 drum sets (30 preset drum kits and 15 more user-programmable kits) to fit any style. The new 6-piece KT3 digital drum set represents KAT’s latest advancement in its “KT” drum series. This “big brother” edition of the widely acclaimed KT2 features large 11″ white floor tom and snare drum pads, a larger 12″ hi-hat cymbal, two 12″ crash cymbals, a 14″ ride cymbal with an all-new bell trigger and most importantly, a new library of amazing, high quality sounds. Euphonyvcart Presents Nux DM 1. 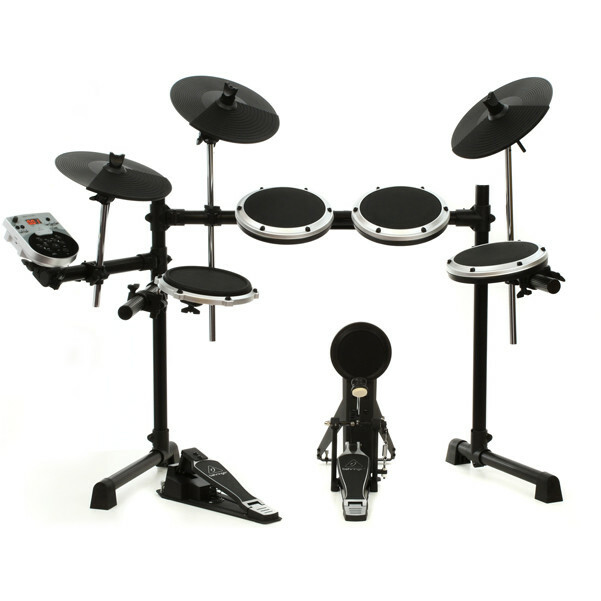 The DM-1 is the latest innovation in electronic drum kit engineered by NUX. 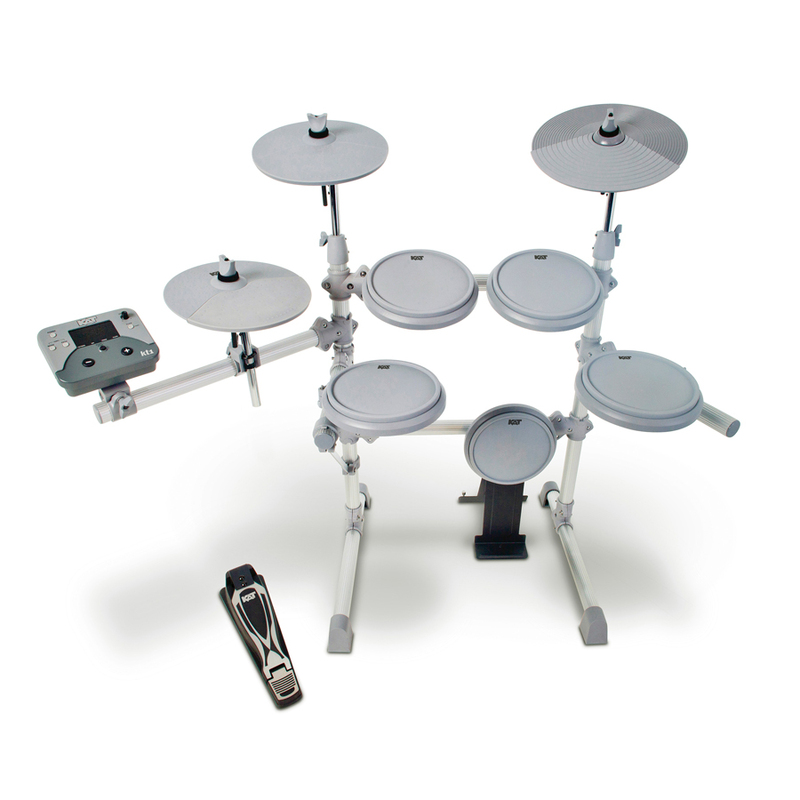 Our new innovative design structure makes the DM-1 the lightest and most compact complete drum kit on the market today. We’ve carefully selected 20 drum kit variations and offer the ability to complement those kits with our proprietary “One-Knob” effects processing which offers players infinite possibilities and helps fuel the creative process. In addition, we’ve added a built-in coach function to help players maintain or improve their overall skill level as well as a record function to retain great ideas and review their own playing style. The DM-1 represents a fun, wide range package for any skill level and is a fantastic tool for the gigging musician who’d like to travel lightly and be able to fit a drum kit in just about any location. 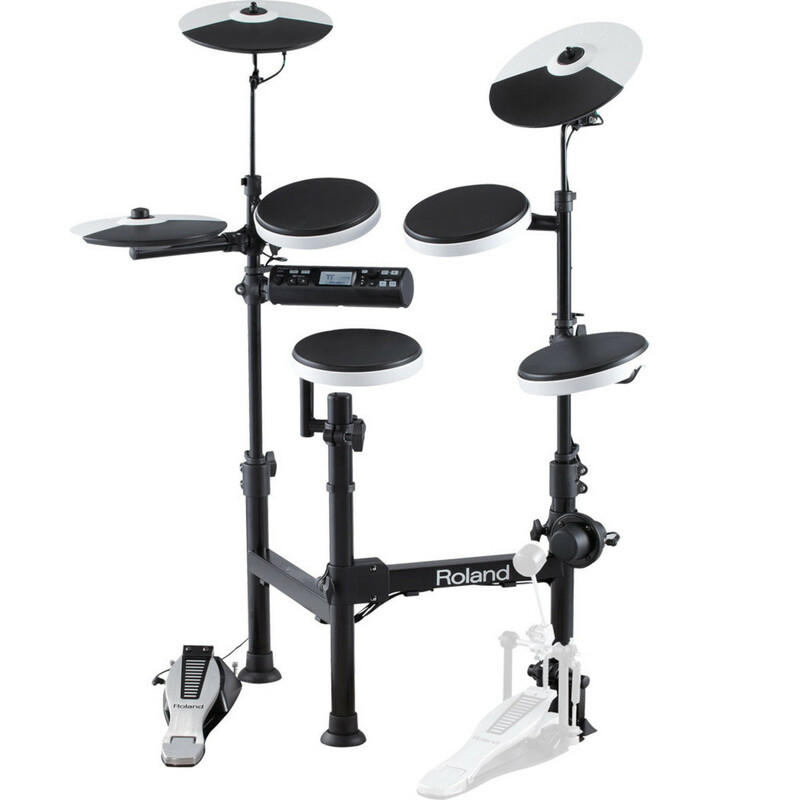 Euphonycart presents Roland TD-30K V-Pro Series V-Drum. For over a decade, Roland’s revolutionary V-Drums have lead the industry in expressive sound quality and incredible playability. 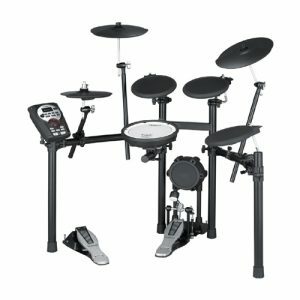 With the introduction of the SuperNATURAL-powered TD-30K V-Pro Series, the electronic drum set reaches a new pinnacle in drumming performance. SuperNATURAL sounds with Behavior Modeling, along with advanced sensing technology, provides a new level of expressive sound quality and playability, resulting in an instrument that reacts and responds to all the subtleties, nuances, and dynamics of a drummer’s technique. In addition, USB audio-playback functionality has been added to expand the performance palette. For the stage or for professional recording, the new V-Pro is truly a complete and natural drumming experience. 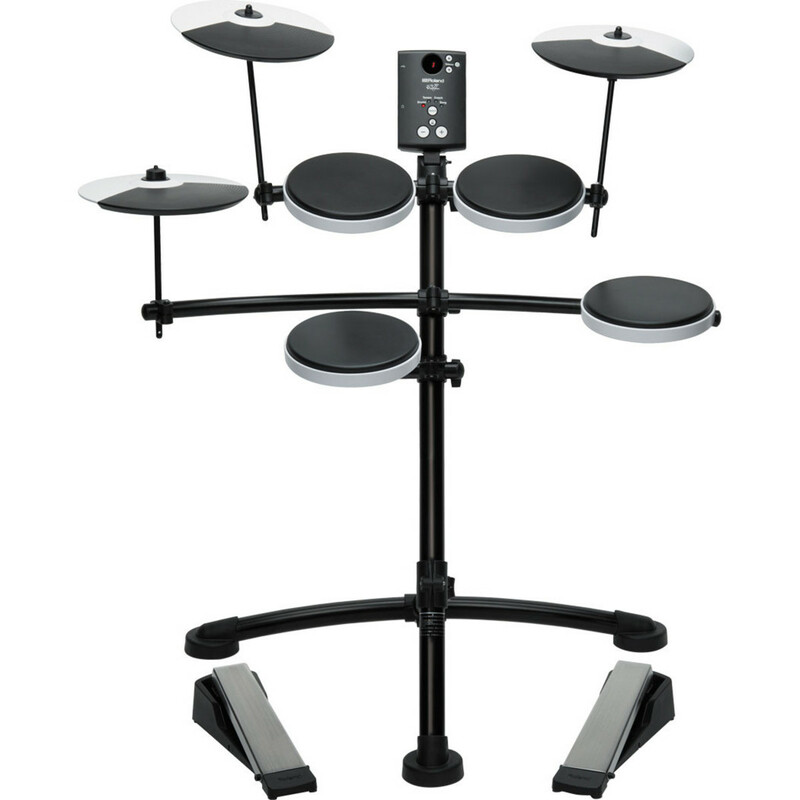 *The original MDS-12V drum stand supplied with the TD-30K has now been replaced with the MDS-50K drum stand, complete with additional accessories for compatibility with TD-30K. Hi-hat stand and kick pedal not included and shown only for photography purposes. Connection cables are partially hidden for photography purposes. 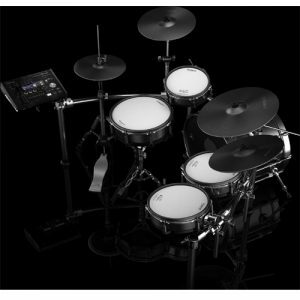 Euphonycart presents Roland TD-50KVX V-Drum Kit. As an ambitious pro drummer, you know that anything less than the ultimate sound and feel will hold you back. Introducing the Roland TD-50KV, the flagship in our acclaimed V-Drums range, created for top-flight live performance, intense practice sessions, and eclectic studio work. Built on the foundation of the new TD-50 module with Prismatic Sound Modeling, this electronic kit provides Roland’s most impressive and wide-ranging sounds yet. The advanced processor is complemented by newly developed snare and ride pads, which feature multi-element sensor systems and high-speed digital communication with the module. The kit also includes top-line tom, crash, and hi-hat pads, and the module provides deep editing features and flexible connectivity to put you in charge. And as an alternative to the included KD-140-BC kick, you have the option of mounting a KD-A22 Kick Drum Converter on your favorite 22-inch acoustic kick for powerful hybrid performance and big stage presence. Offering supreme playability and unmatched expression, the TD-50KV and KD-A22 deliver the most impactful live V-Drums experience ever. 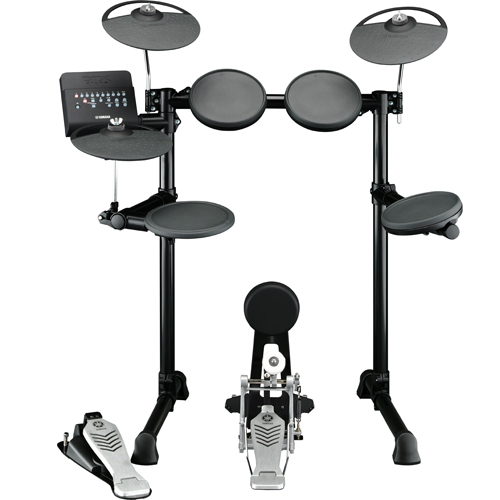 Trinity HD 10 is an affordable yet one of the best Electronic drum kits available in the price range. Equipped with 20 inbuilt presets, 50 full and mute drum modes and with many other technical options to choose from, it becomes one of the most desirable Electronic drum kit among beginners. Trinity HD 11 is an affordable yet one of the best V-drum kits available in the price range. 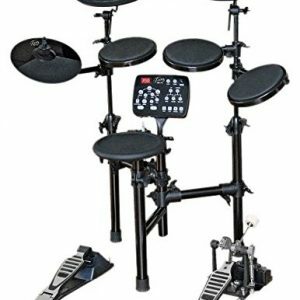 Equipped with 20 inbuilt presets, 50 full and mute drum modes and with many other technical options to choose from, it becomes one of the most desirable Electronic drum kit among beginners. 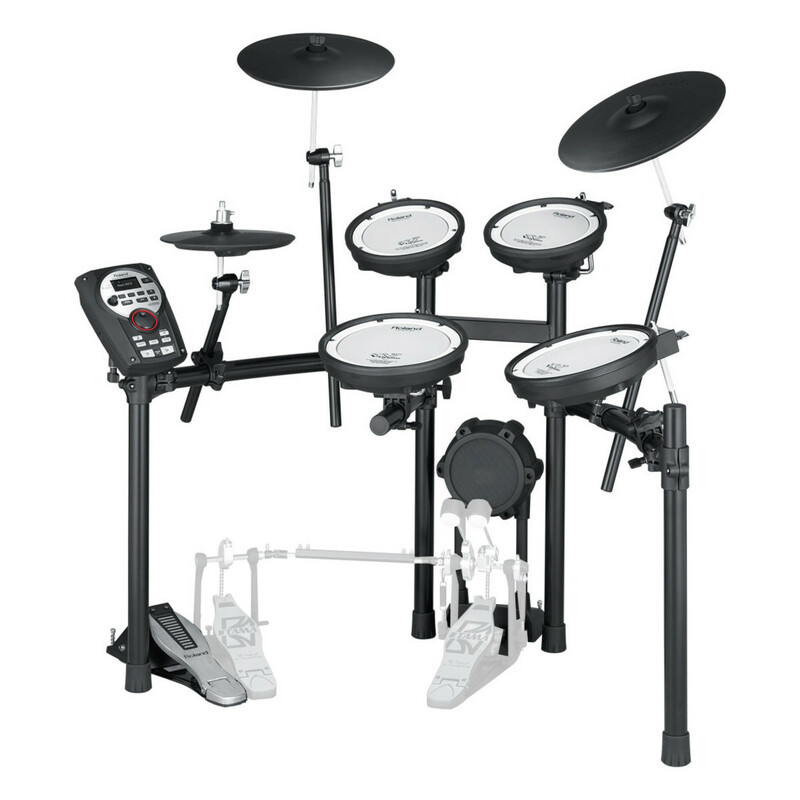 The DTX400 series electronic drums bring Yamaha quality and technology to a new level of affordability. The DTX400K is powered by the DTX400 module that features 169 professional acoustic drum and percussion sounds with Accent Articulation for dynamic expression. Play along to 10 songs and customize 10 kits to match your style. Or practice with interactive training functions featuring Voice Guidance.